If you want to hold off using that can of Raid or hiring a pesticide expert to spray down your home with chemicals, perhaps you'll prefer to formulate your own pet safe ant repellent. That way you'll keep your pets safe and of course remain in a chemical free environment. Let's start with something sweet, shall we? When you're making your gingerbread cookies for Christmas and you decide to sprinkle cinnamon on as the final touch of your gourmet cookie masterpiece, take a trip to your local ant infestation and sprinkle some cinnamon where ants congregate. This spice not only sweetens your cookies, but ironically, has an opposite effect on ants. If you don't want cinnamon powder getting all over the place, place them in small cheesecloth bags. Some repellents make great barriers for ants. Spray vinegar around the foundation of the house or areas where they tend to convene. Concoct a lemon juice mixture of a 50/50 ratio of water-to-lemon and spray in the same fashion. You can also just use pure concentrate lemon juice and sprinkle it around the house. You can also create additional outside barriers from ants. After your done with your coffee, before disposing of your coffee grounds, sprinkle some around your plants or areas where infestations are likely to occur; this keeps them away. Chalk, which is beneficial as an additional barrier, can keep ants away as well and has the benefit of being able to adhere vertically to walls in case ants follow such a route. Another interesting result is just pouring boiling hot water on their scent trail, which will make them unable to find their way back to the food source. An indirect way of deterring ants would be to have a nightlight running in the area where the ants are foraging. This has been known to disrupt their pattern of behavior. You can also use preventative methods to keep ants away. Since food and water tend to attract ants, make sure you clean up your kitchen counters and keep them clear of crumbs or other food particles. Keep areas that are prone to water exposure as dry as possible. Any puddling as a result of dripping faucets, pipes, or standing water left on dishes can attract ants, so it's best to wipe those areas off with a towel. Again, wipe down counters with a dry cloth or towel. Dead bugs or other dead ants can also attract new ants, so check around areas where dead insects might accumulate like the windowsill or near the outer doors of the house. Ants like grease and pet food, so make sure all of these type products are stored in sealed containers. 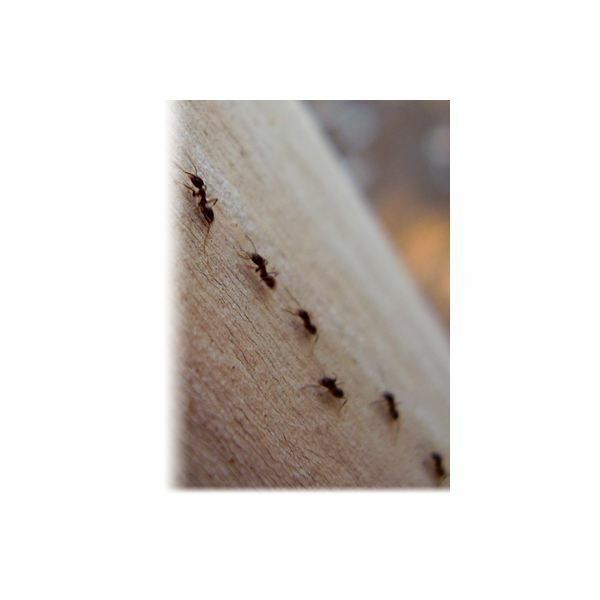 If you just follow these simple guidelines and suggestions for a pet safe and effective way of deterring ants, you will not only be able to send those marching critters on their merry way, but you will keep yourself and your family safe from regular commercial bug sprays or insecticides as well.